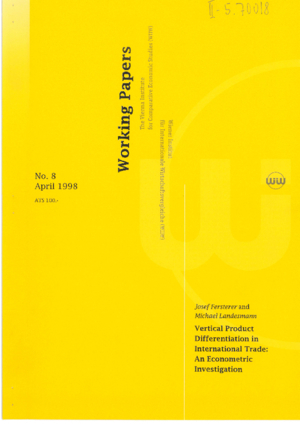 This paper presents a detailed econometric investigation of vertical product (i.e. quality) differentiation in EU markets. Use is made of trade statistics at the most detailed (8-digit CN) level to analyse the pattern of quality positioning in EU trade (of EU memebers and non-EU countries.) Two different 'quality indicators' are devised: one refers to the relative representation of producers in different quality segments in EU markets, the other amounts to the compilation of industry-level price gaps. Evidence is found for dramatic and rather stable hierarchical structures in the product qualities supplied by different national producers. The quality hierarchies are then related to a host of supply-side variables: wage rates, productivity levels, industrial research and development spending, exchange rate movements. the econometric analyses supports arather robust explanatory framework relating the quality positioning of national producers to their relative supply-side characteristics.